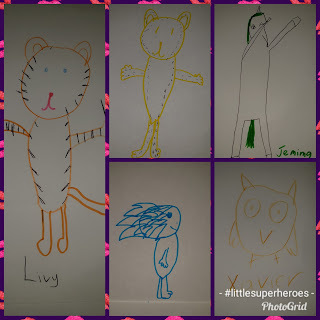 Raising My Little Superheroes : A Short Story by O - The Five Amazing Friends - Transformation! A Short Story by O - The Five Amazing Friends - Transformation! The Five Amazing Friends - Transformation! One school day, five friends were playing around the trees. Their names were Livy, Jemima, Harry, Xavier and Maximus. As Livy and Jemima ran around the trees, one of the biggest trees began to glow a bright iridescent blue so they yelled out to the others, "Guys, you HAVE to come and see this!" Maximus, as always, he was the first one to come running over. Next was Xavier and last came Harry. Maximus asked "Whoa! What is it?" Livy replied "I think it is a portal!" Everyone nodded in agreeance and with a burst of light, they all got sucked into the tree! When they came out, they were in a strange land. It looked nothing like their school playground. They also looked nothing like themselves. They realised that they had all transformed into a different animal. Livy had transformed into a tiger. 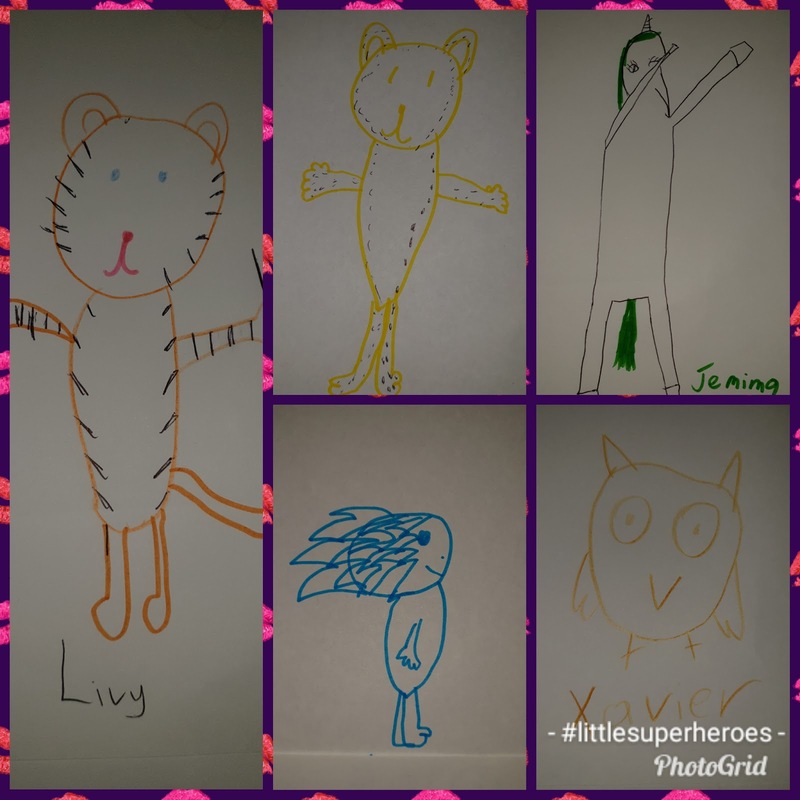 Jemima had transformed into a unicorn, Harry into a hedgehog, Xavier an Owl and Maximus was a cheetah. Harry with a hint of excitement in his voice yelled "Hedgehog, yes! I wonder, can I run as fast as Sonic?" Everyone loved their new forms, and spent sometime exploring what they could do but they all wondered why they were in this new foreign land. Time in this land seemed to fly by and before they knew it, night had come and gone and a new day had started. The next day as they were exploring their new surrounds, they met a lone wolf standing at the entrance to a cave. The wolf begged them to help her. She told the five friends that she needed help to regain control of her kingdom from Draco, a terrible evil dragon. Without any hesitation, Livy told her that the five friends would be happy to help. Harry cupped his little paws in front of his mouth and went "Pfffttttt!" As one, Livy, Jemima, Xavier and Maximus yelled, "Not the time Harry!" In a small voice Harry murmured "Sorry, I was trying to get into the spirit!" The five friends huddled together and thought of a plan. Harry said "We need a name! We should be the Furious Five Animorphs!" Jemima said "Oh my gosh, that's a great name." So it was decided, they would be known as The Furious Five Animorphs. Harry and the wolf were to be the bait, they would wait at the throne in the castle. Xavier and Maximus would pretend to be guards at the entrance to the castle. Livy and Jemima would hide out of sight and do hand signals to the others - they would warn the others when Draco was at the castle and when they should attack. Somehow Draco found out about their plans and he with his army of guards snuck up on the five friends and the wolf. When Jemina spotted Draco and his guards, she dabbed and out of her horn came the most amazing rainbow which knocked the guards off balance. Livy touched one of her stripes and she suddenly had a sword in her hands which she used to send the guards back to the evil palace with one swipe. Xavier yelled "Owww, my eyes hurt," and at the moment laser beams shot out of his eyes. Xavier started shooting the remaining guards, knocking them to the ground. Harry started zipping around Draco yelling "Fast not slow, fast not slow," causing Draco to become dazed and confused. Maximus became super strong and started to punch the ground yelling "Kapow, kapow!" The five friends and the wolf fought and fought until Draco was sent back to the evil palace. After Draco disappeared, the wolf turned back into the Queen and gave each of the five friends a badge of honour. Then before they could celebrate their success, the five friends found themselves standing back in the school ground looking like themselves - five school kids dressed in their school uniforms. Harry, with a hint of dismay, said "Oh man!" At that moment they heard the school bell ring for third session, so they all wandered off to their next class whispering, "What will be our next adventure!"